Occasionally I let friends and family "guest post" on my blog. My buddy Rick aka "Big Rick" aka "Big Ricky Pooh" aka "BRP" CrossFits with me in the early morning so he qualifies as both. Without further adieu…. Thanks again for JFW letting post to his blog. As a person that tries to remain anonymous on the internet by not having Facebook or Twitter, I am very appreciative of the chance for somebody to allow me to publish another journal. If you can’t tell, I love to write. I did a blog for JFW a little over a year ago at this time on the experience of being in New York City, ready to run the marathon, as Mayor Bloomberg cancels the marathon. This is another moment in which fitness and Crossfit can open doors and hopefully change lives. I will say I am lucky to have visited a ton of places from Northern Africa, the Middle East, India and Europe, and soon to be in China in May 2014. My passport has extra pages added to it once and maybe needs it again. What is my favorite city in the world? There are a few, but for me, Rio de Janeiro is the best. Rio is a big city with and can be dangerous. Sao Paulo is bigger – more people live in the city of Sao Paulo than Ohio!! Rio isn’t too far behind – I think more people speak Portuguese in Rio than all of Portugal. I probably should actually do research before writing, but oh well. What makes Rio so special? The people. The people that are my friends down here are great. One bond I established with people in Sao Paulo and RDJ is one with the Crossfit community. 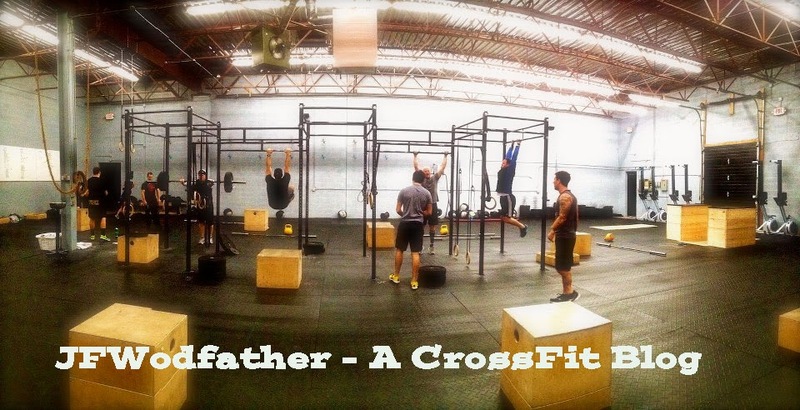 A few years ago, I met a guy, whose family is in Cleveland, at Crossfit Distinction (“CFD”) named Christopher Clark.. Chris, or “Brazil Chris” as we referred to him as is a great guy. He came in our gym and just dominated WODs. When I asked him where he lived he said Sao Paulo and we started talking about country we both hold close to our hearts, Brazil. Chris does some security work in Brazil, but the cause that he turned me onto is great, and it embodies what Crossfit can do. Chris approached me about helping out with a charity that supports a favela, or shanty town / slum in Rio. This favela is called Rocinha (“ho-seen-yah”) and houses ~180,000 people. Since there is no real middle class in Brazil to speak of, you are either super wealthy, wealthy, or not. If not, you could live in a favela. This isn’t necessarily a bad thing, but they can be associated with drugs and crime. The purpose of this blog is not to tell stories of what you can see in a favela, I can tell you that later. I will say it was eye opening and very positive. Anyway, Chris met up with a guy named Rogerio Rodrigues in Rocinha. They were doing volunteer work in Rocinha, teaching English and skills and Chris saw that Rogerio was a workout nut and loved CF.. Knowing what benefits CF can do to a community, the time was right to move forward with Rocinha Crossfit (“RCF”). Rogerio and Chris have been passionate about making this work. They are the drivers of RCF with people such as myself and a few others helping out as well. Today, Rogerio and Chris took me on a tour through Rocinha, we saw some potential places to put a box, and I listened to Rogerio excitedly tell me about how he believes that CF can turn this community around. By focusing on exercise, nutrition, and teamwork, Rogerio and all of us feel that this venture can do a lot of good to empower a community and re-establish confidence and energy in people. With events such as the World Cup and the Olympics coming to RDJ, we are hoping to get some good attention and show how fitness can build a community. What makes this story even better is that one of the other gyms I visited in Sao Paulo – Crossfit Brasil has been very supportive, donating equipment, time, and telling people about it at any chance. Major props go to Tiago Heck (pictured in one photo) and Joel Fridman for believing in this at CFB. When I went to CFB twice in a week, not only did we WOD it up, the members of CFB told me about how excited they were for Rogerio, RCF, and how cool it was for a visitor to workout from the US. Lots of members were very friendly, one even drove me back to my hotel saving me $30 in cab fare!! Everybody at CFB welcomed me like a family, my home away from home. Obrigado Tiago and Joel and Obrigado to the members at CFB. CFB is excited about CF and wants more people to know about it in Brazil, not just Sao Paulo. I thought the other cool thing is when I told them I was from CFD, Tiago goes “Distinction, isn’t that Scott Panchik? He now has Crossfit Mentality doesn’t he?” How about that – 5,500 miles away and news travels fast. The world is so small. So small that people from all over the world are starting to see what RCF can now do. It is not recommended to go to Rocinha unless you know somebody to guide you through, the RCF gives people a reason to do a WOD in the most popular (not necessarily visited) place in Rio. Oh, and did we WOD in Rocinha? Yes we did. We walked down to the beach where pick up soccer games are played, hang gliders land (tourist attraction), and people my size cram into a swimsuits smaller than, well, I won’t say. Rogerio, working on his level 1 certification had us do 5 rounds for time of sets of KB swings of 10, 15, 25, and 50 reps (so 500 reps in total) with one push up or one handstand, two rolling squats where you roll from the ground into a squat and squat up or pistols, and 3 situps after each set (not round) of KB swings. Chris did the handstands and pistols, I did the push ups and rolling squats. Oh wait, there were no KBs, we had bags that we filled with sand from the beach to swing. SAND IS FREAKING HEAVY FOLKS. I don’t know what it weighed, other than “a lot”. Bottom line, it was an insane workout. Rogerio is such a great teacher that he got me to do handstands as well as a skill, something I NEVER thought I would do. Probably took an hour to WOD, and I don’t care if it took longer. He kept yelling “Resiliency” in the WOD, as people from Rocinha are resilient. Must of heard it 100 times. I learned a few things this day. One is that Rogerio is a great teacher. Two is that Chris is a machine. Literally, I think when he sleeps at night he just plugs in and recharges. Seriously, great job pal. I was reassured how important Crossfit can be. While working out in the grass and on the beach, some people were not following the soccer game and imitating us. You looked around and saw people doing push ups, trying to do handstands, and pointing at the two crazy guys working out with a guy yelling “Resiliency”. Doing this WOD in an area like Rio where not everybody has a chance to make themselves better, Crossfit can do just that. Also, to pull any Brazilian away from a soccer games takes something. Hopefully Rocinha takes off and an activity that a friend of mine told me to try in July 2011 would turn into me helping underprivileged people in Rio start things to build a better community. There are some pictures included, one of me, Rogerio (red) and Chris in Rocinha. One of me swinging a sand bag while a hang glider flies and soccer is played. The other is of me and Tiago Heck at Crossfit Brasil in Lapa, Sao Paulo. While this is not an appeal letter, if you are interested in making a difference, I would love to listen and can provide more information. Money helps and is tax deductible. We had a great facility and at the 11th hour the deal fell apart. We have some equipment, but want an open area to do WODs. Once we have our facility in Rocinha, the next steps to be made are huge, but more importantly very attainable quickly. Having a eyes on Rio in 2014 and 2016 could be a great opportunity. Enjoy your Thanksgiving, remember that everyone has a lot to be thankful for, and take nothing for granted.